Creating a beautiful design begins when we first meet our clients during the initial consultation at their event location. We brainstorm and discuss a variety of ideas and inspirations for the design plan, and continue to work closely with clients throughout the entire process of producing the event from top to bottom, including post event follow up calls to ensure clients were happy with what they received and if there was any need for improvement with what we do for the next event we light. 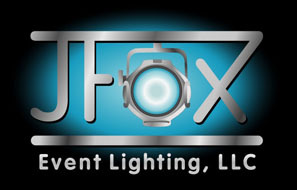 Depending on the type of event, we utilize all different types of lighting equipment from basic market string lights to state-of-the-art intelligent lighting fixtures. All lights are run through a dimmer to help provide the ambiance that our clients need for their specific event. We take care of all of your lighting needs, and always have a technician on site to ensure that our lighting will meet your highest expectations.